Just popping in with a quick post tonight. This card was inspired by last weeks Trigger Tuesday at Moxie Fab World as well as a card I remembered of Britta's from awhile back (you can see it HERE). I used a new nestie I just picked up, labels nineteen, and some yellow pearls I got as a free gift in a recent Simon Says Stamp order (Thanks Simon!) The papers are from My Mind's Eye Stella & Rose Mabel Paper pad. This was a good design to use up some scraps of paper. What a beautifully done card! Wowza - the colors/layers are amazing!! I also have a serious 'thing' for brackets so I really really love it! I loved Britta's card too!! 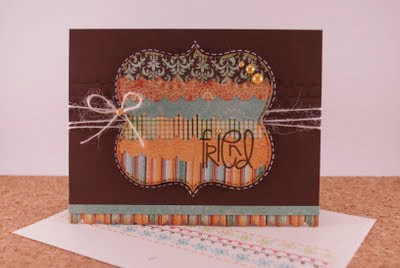 Been meaning to try some fab layers like this too! 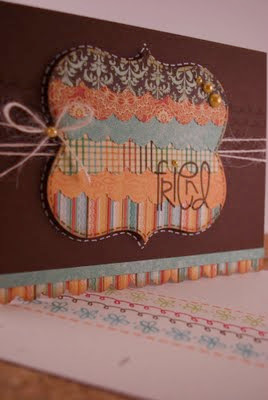 Such a perfectly Fall card! Oooh! 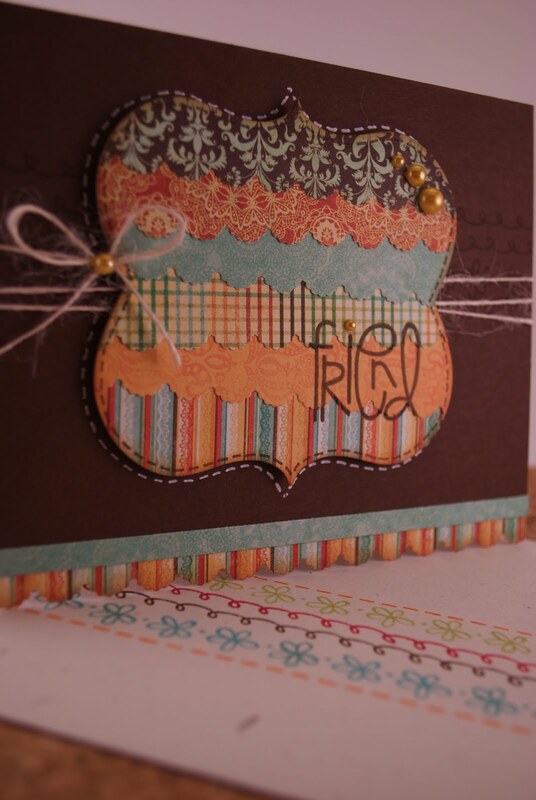 I love this card, Chari! So pretty! Love the scallops!